A Yale University scientist whose work explores brain mechanisms that underlie top performance — such as when musicians and athletes are said to be operating "in the zone" — is bringing his research and leadership to the University of Oregon. 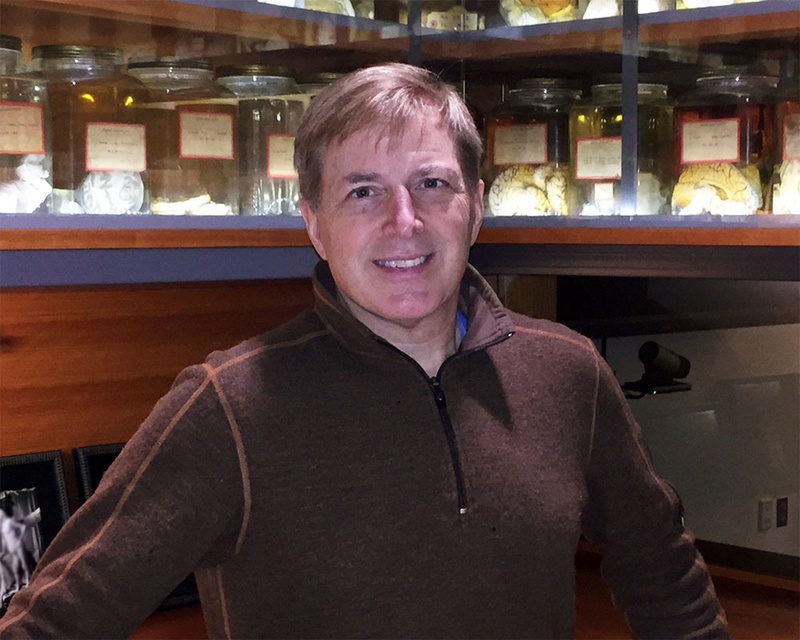 David A. McCormick, an enthusiastic supporter of collaborative research, will head the UO's Institute of Neuroscience and serve as co-director of the Neurons to Minds Cluster of Excellence alongside UO psychology professor Ulrich Mayr. He also will be one of only two Presidential Chairs at the university, joining chemistry professor Geri Richmond. "I am very excited about joining the University of Oregon," said McCormick, who will start July 1. "It was attractive to me to be able to join a team that is already doing a lot of the same kind of research that I do. This field tries to understand how the parts in the brain work, how they interact and how the neural system solves a problem as a whole." That fits well with the UO’s research focus on the role the brain plays in biology, psychology, physiology and other facets of human development. McCormick’s work will add an important connection to work already being done here. 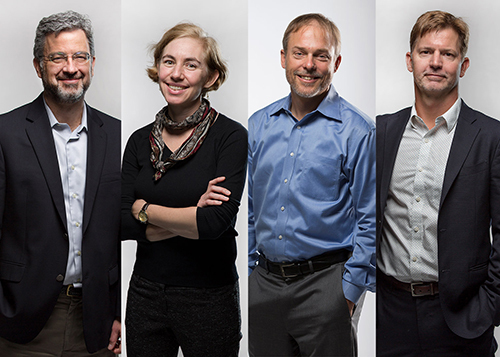 "David works at the interface of systems neuroscience and cognitive neuroscience," said UO biologist Chris Doe, head of the search committee that is pursuing top-flight scientists to join the cluster initiative. "He does his primary work in mice but with direct relevance to humans. In this way, he is the perfect person to bridge the Neurons to Minds divide. The hire also helps advance the university’s ongoing plan to boost research in fields where it has an established expertise and could make major contributions to address national problems. 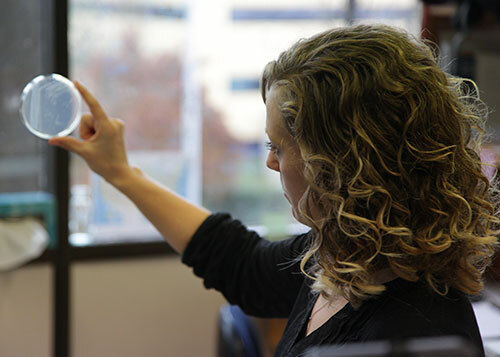 The Neurons to Minds cluster was part of the Clusters of Excellence faculty hiring initiative announced in 2014 and designed to attract more research-active, tenure-track faculty members. President Michael Schill has set a goal of hiring an additional 80 to 100 faculty members over the next five years to boost the university’s research activity and invest in the institution’s academic enterprise. As the holder of a named professorship in Yale's School of Medicine, where he's been since 1987, McCormick has pushed the envelope on imaging and recording techniques to study electrical connections and operating principles of brain networks in mice as they perform different tasks. He's interested in how signaling in the brain underlies behavior and learning. 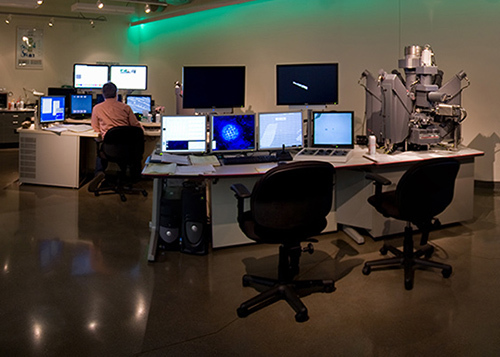 The UO research environment is based on collaboration, he said, citing how researchers in the "excellent and well-known" Institute of Neuroscience work with cognitive scientists in the Department of Psychology and researchers in the Department of Biology. 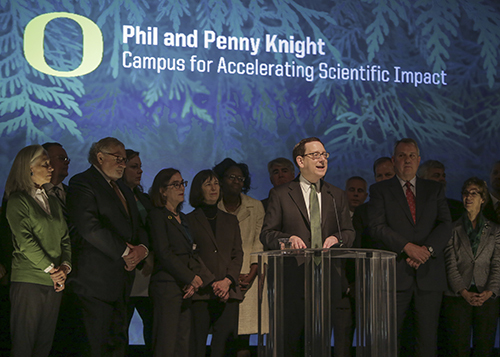 He also cited the potential to help move brain research into real-world applications through the Phil and Penny Knight Campus for Accelerating Scientific Impact. "In the next 10 years, we are going to need ‘team science’ to answer big questions about how the brain works," said McCormick, who earned bachelor's degrees in mathematics and psychology from Purdue University and a doctorate in neuroscience from Stanford University. "This is a hot and popular area," he said. 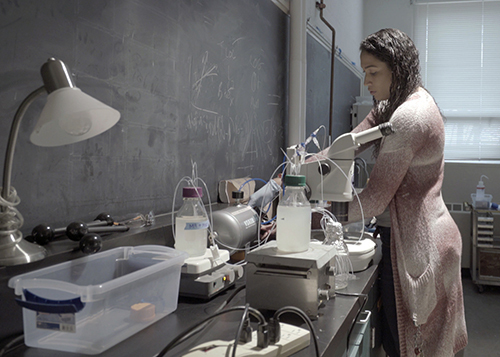 "It ties well into the national BRAIN Initiative funded by the National Institutes of Health, which has put an emphasis on model organisms but also in bridging the gap to humans. I see a lot of potential toward achieving that at the UO." UO biologist Cris Niell, who is expected to be one of several collaborators with McCormick, praised his selection. "David has been a pioneer in bridging different levels of analysis, from individual neurons to brains and behavior," Niell said. 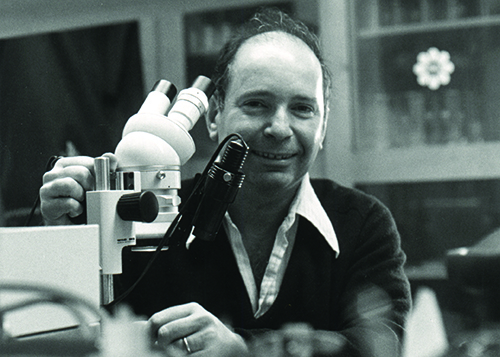 "He has investigated the biological basis of brain phenomena such as sleep, attention and epilepsy. He is an excellent match to the unique strengths of neuroscience here at UO and pretty much the epitome of what we are aiming to expand with the Neurons to Minds cluster." McCormick, who was named Yale University's Dorys McConnell Duberg Professor of Neurobiology in 2008, is a fellow of both the American Association for the Advancement of Science and the American Academy of Arts and Sciences. He also is an elected member of the National Academy of Medicine, which, along with the National Academy of Sciences and the National Academy of Engineering, advises national and international leaders on policy issues. McCormick will bring three major federal grants to the UO: a multiyear Javits Neuroscience Investigator Award from the federal National Institute of Neurological Disorders and Stroke; a top-level National Institutes of Health grant known as an R01 award to study attention and performance; and a recently awarded grant from the Defense Advanced Research Projects Agency for research that may advance his findings in mice into enhanced learning and memory skills in humans.